… for announcing his retirement to “start transitioning and seeing myself in the mirror the way I see on the inside.” Coming out to his college coaches as transgender in 2014, he had delayed his medical transition while playing in the professional National Women’s Hockey League (NWHL). … for completing a record-setting 93-day, 4,050-mile journey across the Atlantic Ocean by himself on a stand-up paddleboard! He set off in Agadir, Morocco and ended in Antigua and his journey only took an estimated two million paddle strokes. Amazing! July 2017 Thumbs Up! Thumbs Down! June 2017 Thumbs Up! 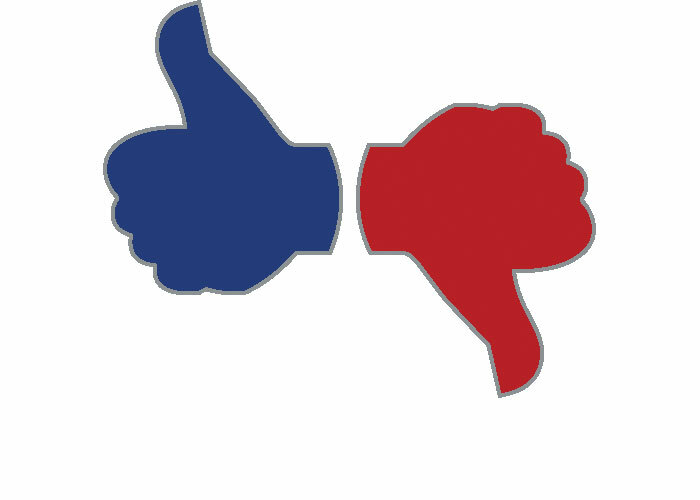 Thumbs Down!